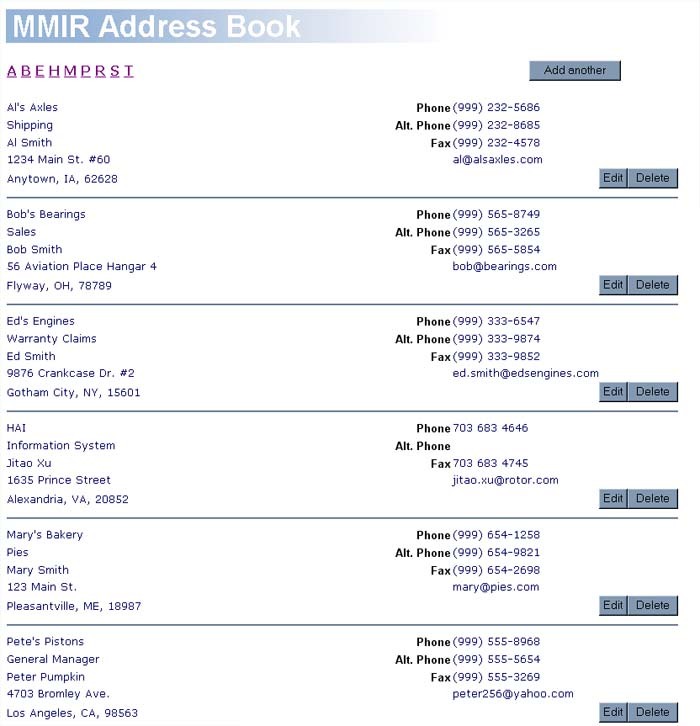 MMIR has a full-feature address book. Use your address book to keep information up to date on parts suppliers and manufacturers. 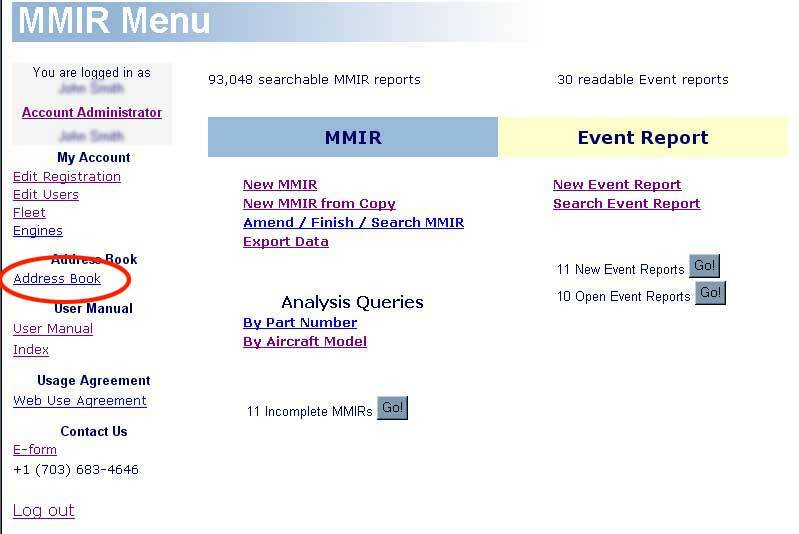 All listings in your address book are available to you via a pull-down menu on the MMIR form. This is a real time saver; instead of tediously having to fill in blanks for names and addresses, you just select the company from a list. Take a look at the web shot below of a sample (fake) address book page. As you can see, updating your listings is as quick as the click of a mouse. The listings are displayed in alphabetical order by company name (top left field of each entry). The series of letters near the top of the page, just under the "MMIR Address Book" title, are dynamic links that are shortcuts directly to listings starting with that letter. For example, to go quickly to "Pete's Pistons" without scrolling, just click on the "P".
! Tip As your address book grows, use the dynamic letter links at the top of the page to quickly navigate through the entries.